Lizzy and Ian have been a couple since their first day at university. Now, after celebrating a decade together, everyone thinks they're about to get engaged. A romantic escape to Dubai is the perfect moment, but instead of the proposal Lizzy hopes for, Ian reveals he's not sure he even wants her anymore. Lizzy is heartbroken. But through the tears, she realises this is her chance to seize the opportunities she missed as Ian's other half. But what does she want? How much of her is really Lizzy, and how much was Ian's influence? Determined to discover who she is at heart, Lizzy sets out to rediscover the girl she was before - and in the meantime, have a little fun . . .
A lovely story with a nice positive attitude, not really a love story - more about learning to love yourself. She's done it again! 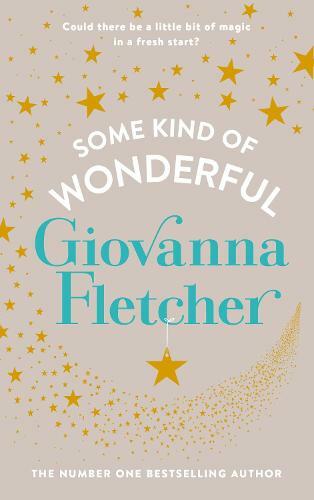 Another hit from my "guilty pleasure" author, Giovanna Fletcher. I was lucky enough to be sent one from the publisher and I loved it!